Elkus Ranch is in need of volunteers to help with gardening and stall cleaning for our friendly livestock. Other special projects vary but can include painting, construction, trail maintenance and more. Help us keep our gardens productive and our animals happy and healthy! 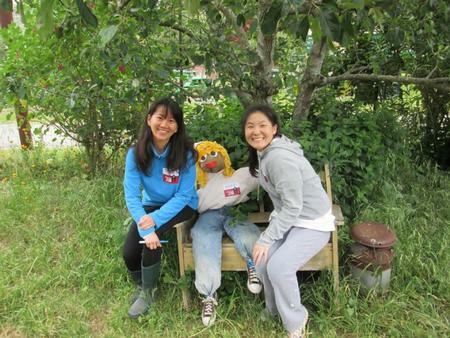 Stanford Alumni volunteers built scarecrows for our fall programming! These volunteer opportunities are possible through our recent partnership with HandsOn Bay Area, an organization that schedules volunteering events for corporate teams, families or individuals. Please visit HandsOn Bay Area to sign up for the next volunteer day at Elkus Ranch. 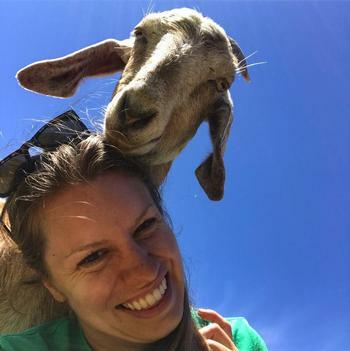 Goat and donkey hugs are free to all volunteers! Can't volunteer your time but still want to contribute? Make a donation to benefit our educational programs and ranch operations. Thank you for supporting Elkus Ranch!